Camping on the beautiful Younghiogheny River for the last several days… at the Uniontown KOA, PA in the new Roadtrek, Simplicity SRT. By the bye… highly recommend Uniontown KOA. We went from tent camping, to a travel trailer, to a Class A Motor Home, 25 years ago. Then nothing. Today, we are on our 2nd outing in a small Class B Roadtrek Motor Home (19′ – like driving an SUV) — Oh the places we can easily get to… like King’s Bridge, Somerset County, PA.
Sinnemahoning State Park is a 1,910 acre park located near the center of the Pennsylvania Wilds’ scenic valley region. It has beautiful scenery and wildlife. 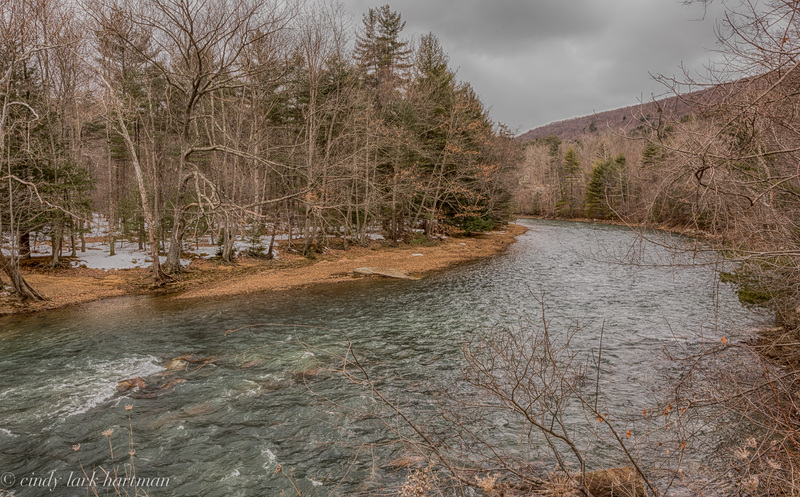 The park is surrounded by Elk State Forest and is mountainous with deep valleys. 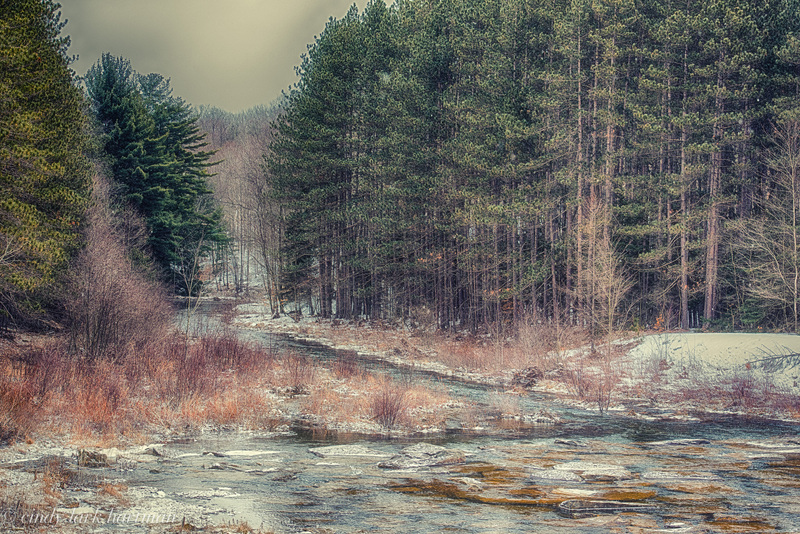 Visit Fine Art America to purchase a print of Autumn on Winslow Hill. 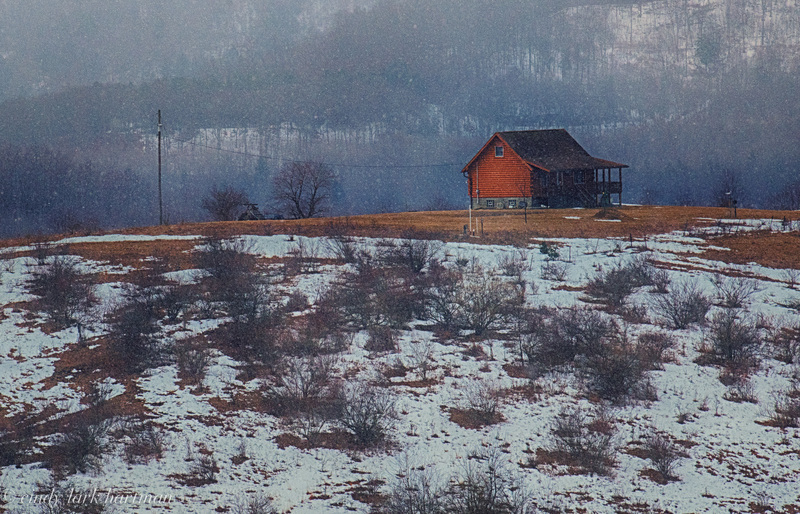 This weekend, I found myself in Elk County, Pennsylvania. A county, who’s named was derived from the large population of Eastern elk. 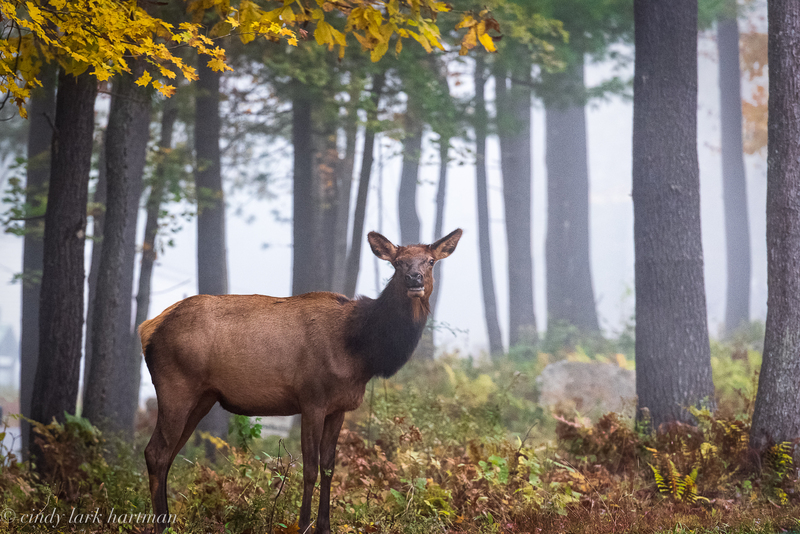 A nice man, while shooting at Middle Creek a few weeks ago, mentioned that the elk, particularly during rutting season, were incredible to photograph. Males battling other males for the right to mate sounded like a photographers dream to me — so I decided to visit the area and potentially mark my own spot for next September/October. So on 27 March (supposedly 7 days in to spring) — we ventured to Elk County for the weekend. Snowing to beat the band. It was snowing to beat the band. 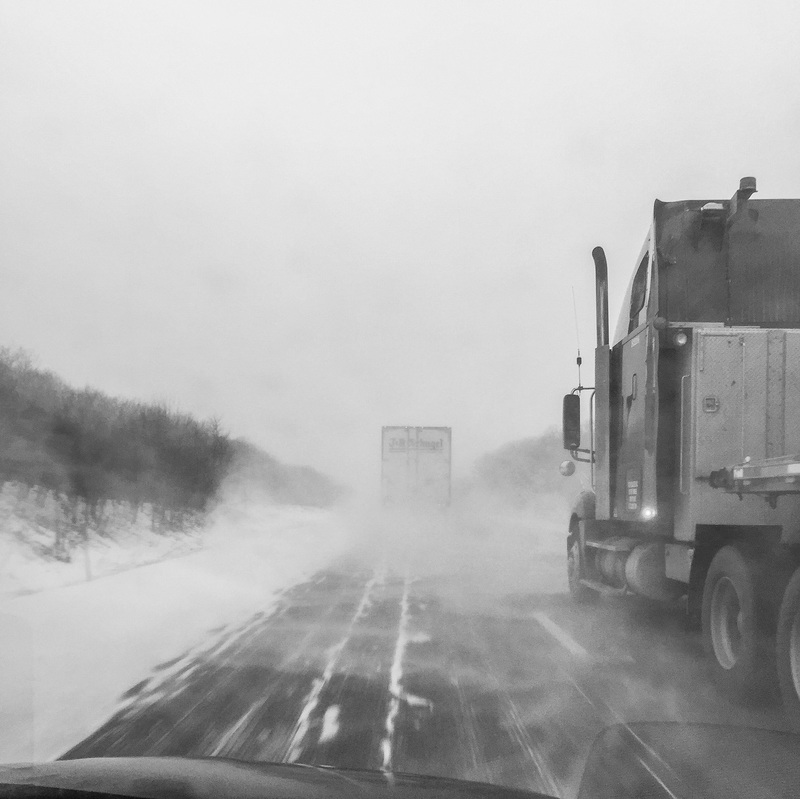 In fact, it was snowing on and off– most of the day, more on than off. Some elk viewing areas were only accessible by four-wheel drive, a no-go for my little car. It was 17 degrees. I don’t want to exaggerate, it may have gotten up to 20 or 21 degrees during the afternoon. It was cloudy, it was dreary. Not a tree bud could be found. Even the elk were mangy. Yes, yes, I know, what do I expect? 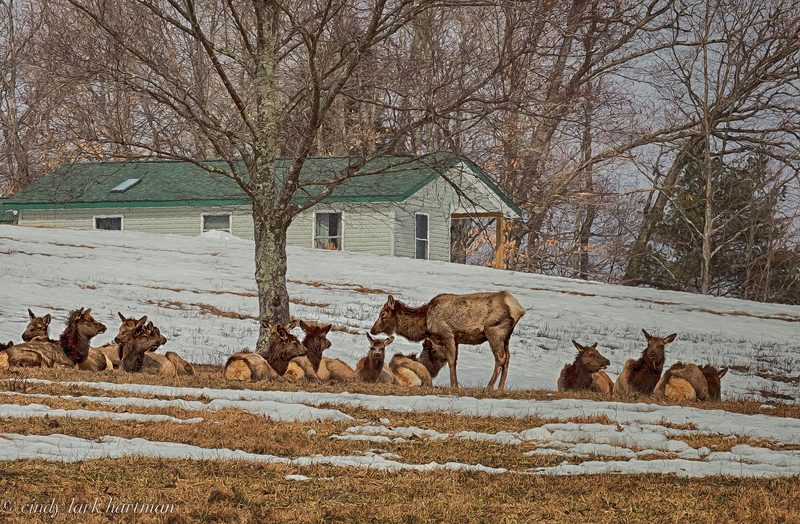 — Elk County is “north”, part of the Allegheny Mountains — but the heart wants what the heart wants and this heart wanted a bit of Spring— at least some sunshine. 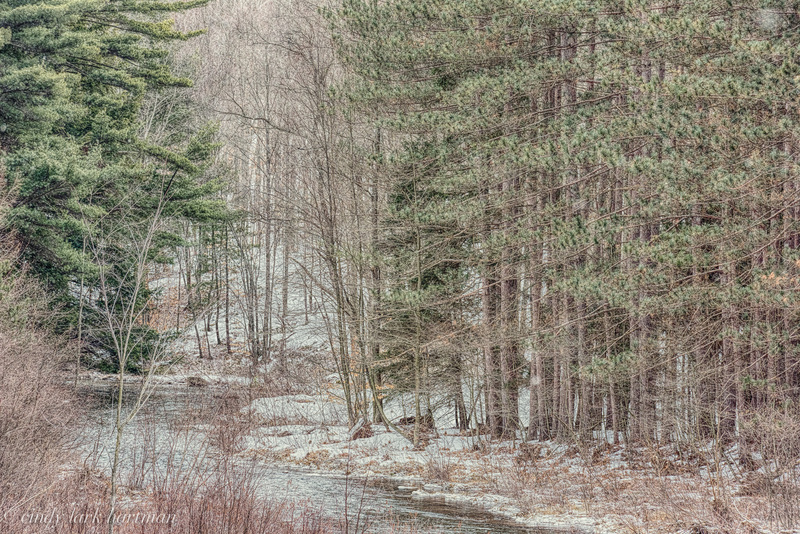 Sadly most of my photos reflected this cloudy, snowy, dreary – afternoon. So I decided to engage in a little photo play, something I rarely do (mainly because I don’t know how). But a little over exaggerated photos, with help from a really inexpensive ($2.99) application, — was a lot of fun. So here are a few before and afters. 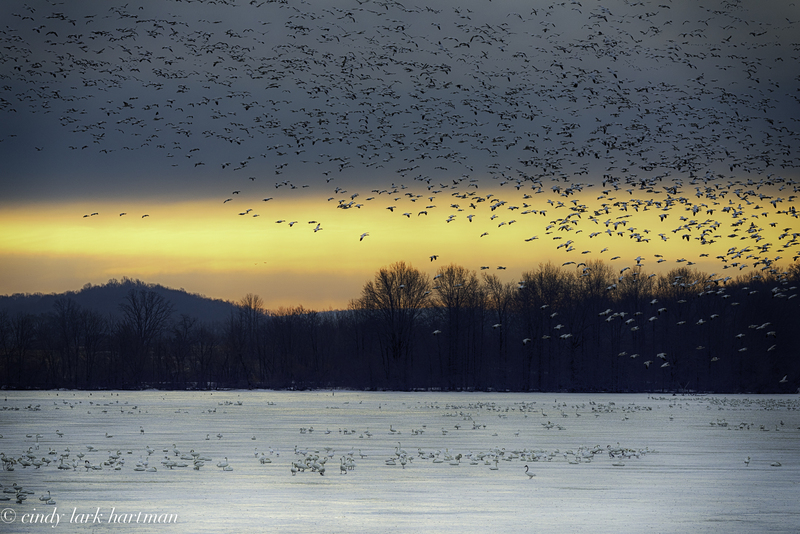 I’ve heard many call watching the snow geese rising off the lake together in unison a bucket list moment. I’ve been pretty lucky because I’ve watched these geese rise together as one several times at the Middle Creek Wildlife Management Area in Stevens, PA. It’s been so worth the trek the last two years in a row — so much so, I’m already thinking about next year’s visit. 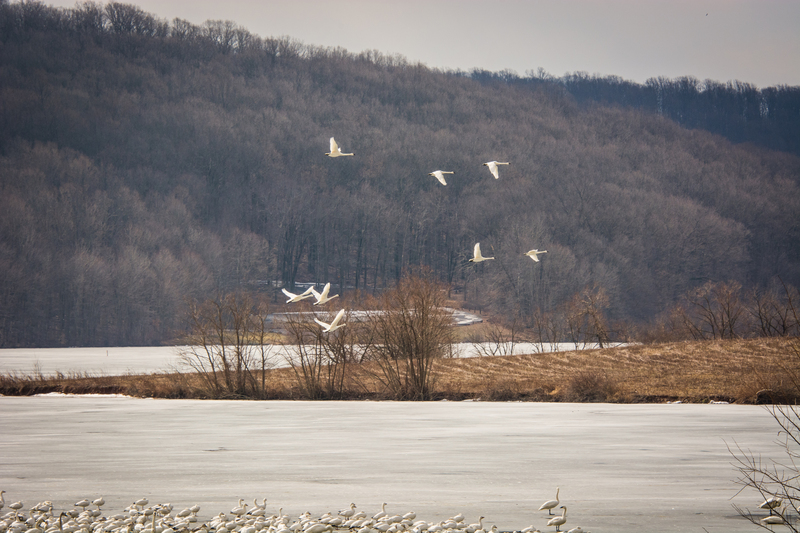 For a few days, typically in early to mid-March hundreds of thousands of snow geese stop at Middle Creek on their trek north. 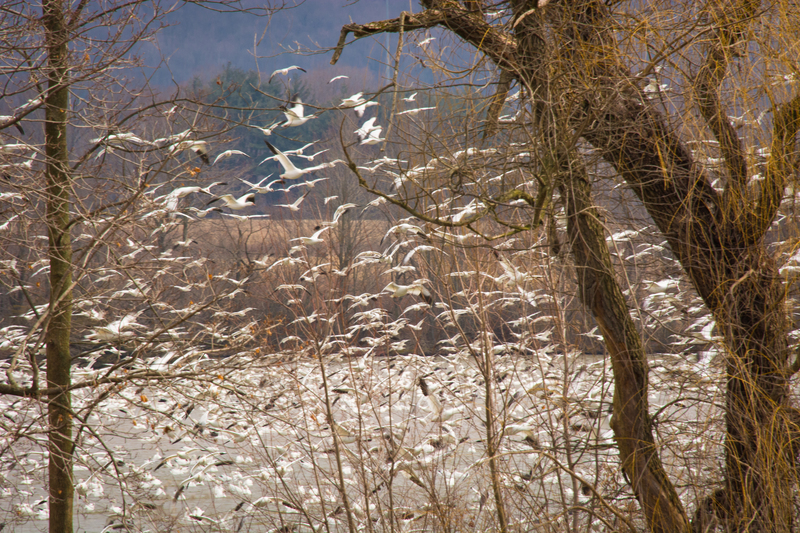 This year there was in excess of over 110,000 snow geese that come to Middle Creek to roost and feed at the local fields. 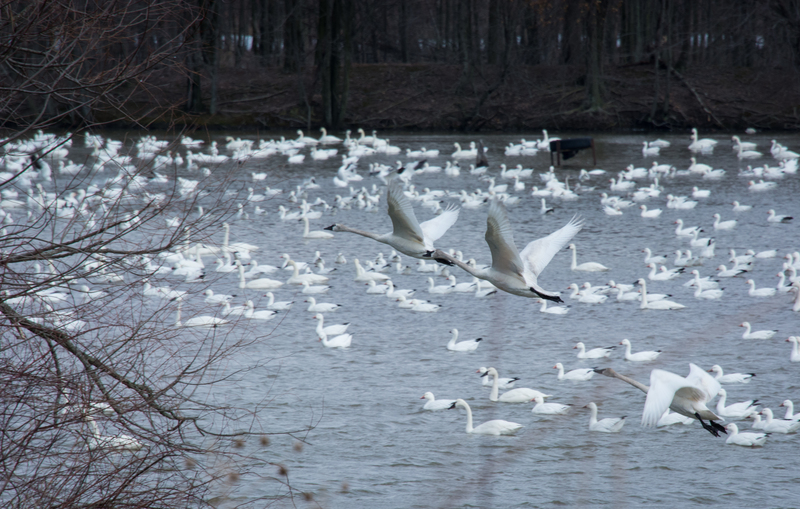 When the snow geese take flight and rise in masse they appear like a big white cloud rising off the water. They move a bit, circle a bit and settle right back. It’s quite a spectacular show. 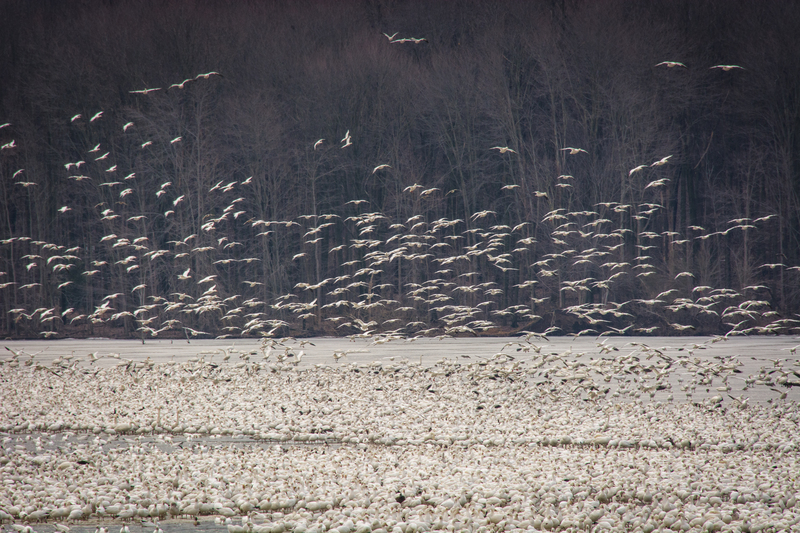 Snow Geese, Tundra Swans, & Canada Geese – Oh My! In late winter large numbers of migrating waterfowls appear at Middle Creek (a Wildlife Management area located in Pennsylvania) before heading north for breeding. Many of the waterfowl come from south of Pennsylvania and begin their trek north in conjunction with spring thaw. When the ice begins to thaw so there is open water and the snow melts from adjacent fields for the birds to have waste grains, they begin to arrive. 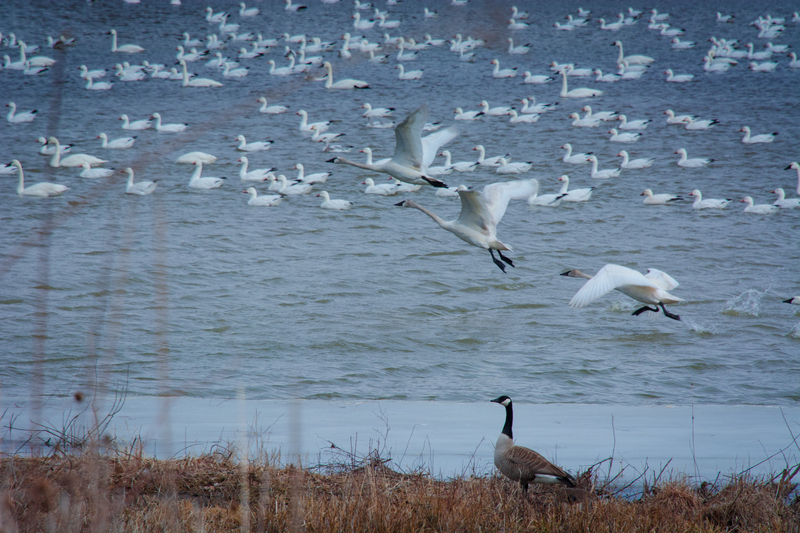 This year — the highest numbers started around the 17 March: Snow Geese: 60,000+; Tundra Swans: 5,000+ and Canada Geese: 3,000+ These pictures are from 20 March 2014.